Jupiter is a gaseous planet with a hot core, and there is a large temperature gradient between the planet's surface and its core. On the surface, though, the temperature remains constant, and it isn't one that humans would find comfortable if they were able to stand there. 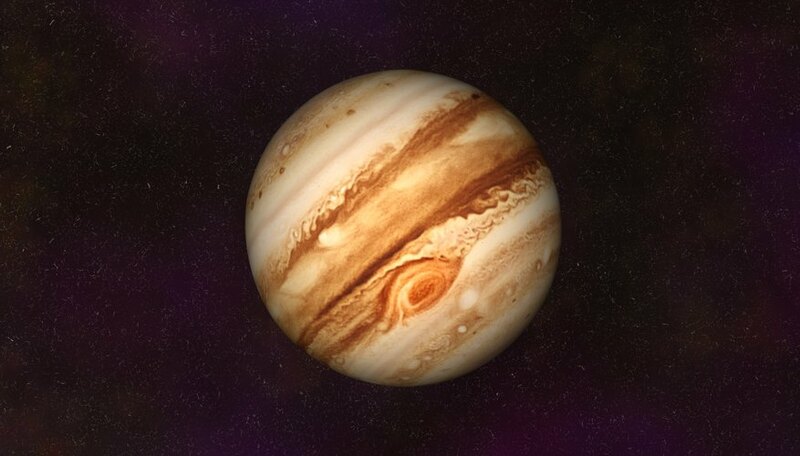 Jupiter has a solid core about the size of Earth, but most of the planet is gaseous, and because of this, it doesn't have a well-defined surface. Scientists therefore define the surface as the atmospheric layer in which the pressure is the same as on the surface of the Earth. At this depth, the temperature is uniform at minus 145 degrees Celsius (minus 234 degrees Fahrenheit), reports Space.com. Scientists estimate the core temperature of Jupiter to be about 24,000 degrees Celsius (43,000 degrees Fahrenheit), which is hotter than the surface of the sun. This puts the average temperature inside the planet in the neighborhood of 12,000 degrees Celsius (21,500 degrees Fahrenheit). Space.com: What Is the Temperature of Jupiter? Deziel, Chris. "What Is the Average Temperature of Jupiter?" Sciencing, https://sciencing.com/what-average-temperature-jupiter-4569765.html. 24 April 2017.